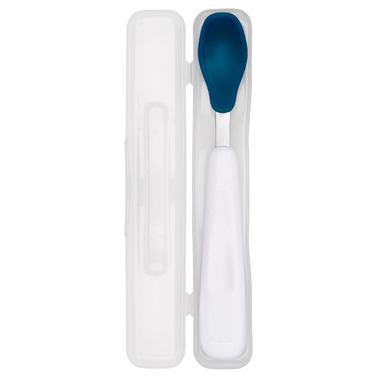 OXO Tot Travel Feeding Spoon with Case is a soft, right-sized spoon for gentle feeding on the go. Whether you’re going across the street or across the country, be ready for baby’s next meal. The soft, silicone Feeding Spoon is gentle on baby’s gums and mouth. The shallow Spoon prevents feeding baby too much food at once, while the contoured handle is comfortable to hold and angled for easy feeding. 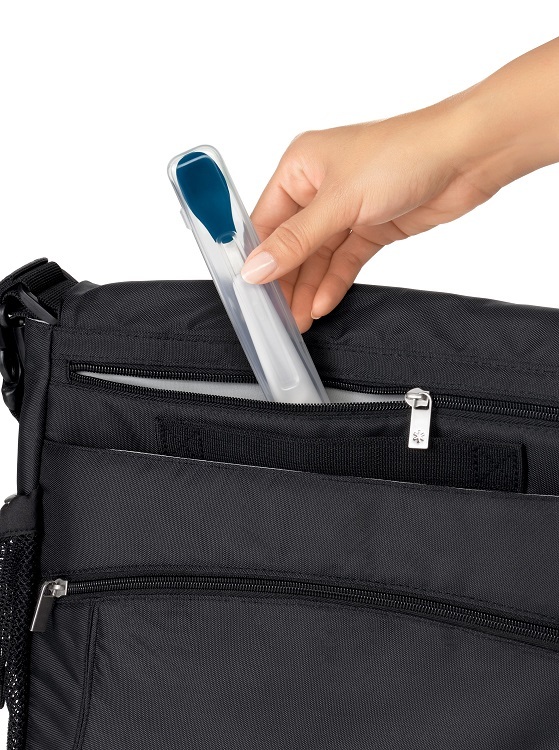 The Spoon fits neatly into the convenient case that is compact enough to tuck into diaper bags, stroller caddies or handbags. Plus, the lid stays attached so it won’t disappear during your travels!